You couldn't get a better location if you tried. Great for everything that is a must see in this great city as well as the nightlife. 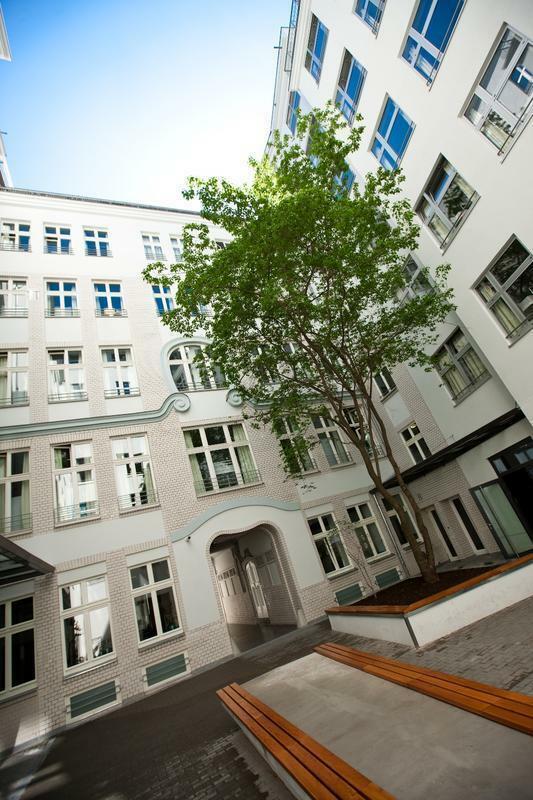 Oranienburger Strasse has become Mitte's hub for nightlife, galleries, art, cafes and restaurants. The hostel sits in the centre of this grand street and is a terrific hangout for locals and travellers. Once you have seen and done it all head back to Generator, the perfect place of refuge, with great beds for sleepy heads, a bar and lounge that serves the best drinks and entertainment for miles around and of course you'll be enjoying Berlin life in the most stylish and authentic surroundings. Choose from a great selection of rooms, from Dorms, to Quads, to Private en-suites with innovative mod cons like a USB port and your own LED light for late night reading. Fast and free Wi-Fi is all yours too. You'll definitely need more than a day to explore this city, it's a culture vultures delight. We'll see you there soon. Getting from the airport could not be easier with 3 train lines running into the centre of Berlin. From Airport Berlin Brandenburg (BBI) take the Regional Train RE7, RE9 or RB10 and get out at „Friedrichstraße“. Then change to S1 or S2 [Direction Oranienburg or Bernau (Henningsdorf)], it's just one stop to „Oranienburger Straße“. Take S7, S5, S75 or S3 [Direction Alexanderplatz], it's just one stop to „Friedrichstraße“. Then change to S1 or S2 [Direction Oranienburg or Bernau(Henningsdorf)], it's also just one stop to „Oranienburger Straße“. Take S41 to the stop „Gesundbrunnen“, then change to S1 or S2 [Direction Wannsee or Blankenfelde(Teltow Stadt)] to „Oranienburger Straße“.